I don't know about you...but I sooo love stew. Just like any other typical Filipino, I love eating it with rice...but I also enjoy eating it with rolls and bread, especially the leftover. 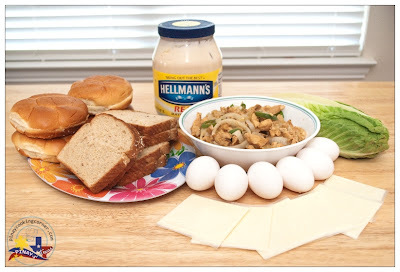 Whether it's beef, chicken or pork stew, making a sandwich filling out of it always excites my taste buds. I remember that when I was little, whenever we have stew for dinner, whether its adobo, afritada, estofado, kaldereta or menudo, I would always ask my mom to make me some stew filled pandesal or pandelemon for breakfast the next morning. Sometimes, I would even bring them to school for snack. Even now, I still love that kind of sandwich. During our road trips, I would usually cook adobo or menudo the night before then stuff them in buns. My family consider it as a very yummy on-the-go meal! For this month's Kulinarya Cooking Club Challenge, I found the perfect chance to share one of my family's favorite stew sandwiches with you. Thanks to our host, Louie Yan of East and West for choosing "Filipino portable bites offered by food trucks" to be this month's theme. Here in the US, I've only seen food trucks when we were in NYC. If I am to find one here in Texas, I would love if they have Filipino food like those in California...and how I wish they have this Adobo Sandwich! It looks so good, right??? If there are food trucks selling this here in Texas, I'll definitely be a frequent customer! And if someday I'll have my own food truck or Filipino fast food restaurant, this Chicken Strips Adobo Sandwich will be one of our house specials! This is no ordinary sandwich, I tell you! It has the goodness of the Filipino all time favorite adobo plus the yummy combination of egg and cheese and the added spice of Jalapeño pepper and onions! Though I enjoy any kind of stew, adobo is my most favorite because it is the quickest to cook and it doesn't require much ingredients. 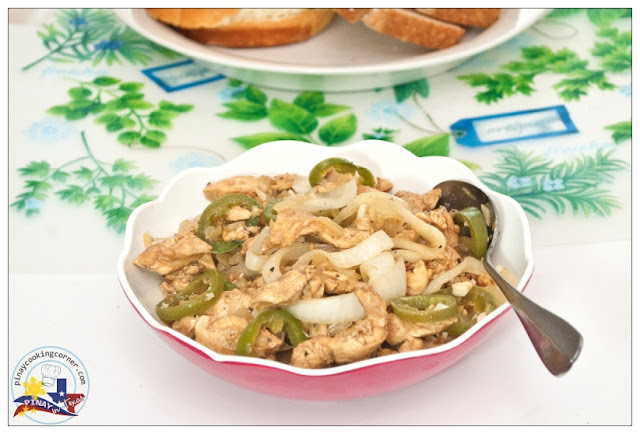 For the sandwiches that I prepare for our trips, I usually use shredded leftover pork or chicken adobo, but for this post, I used freshly cooked chicken breast strips adobo with Jalapeño pepper and lots of onions. Chicken breast cut into strips cook a lot faster so this will be perfect for on-the-go meals like this. You should try it! I'm sure you'll love how tasty and filling this is! 1. 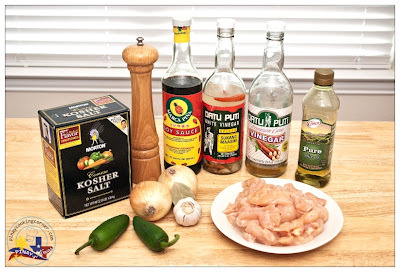 Sprinkle chicken with 1 tsp salt and 1/4 tsp pepper. Let sit for at least 15 minutes. 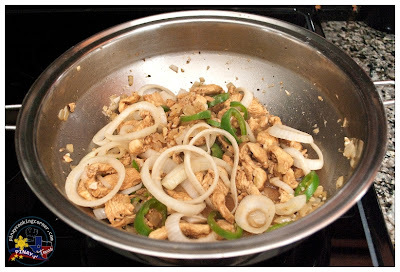 In a bowl, mix soy sauce, vinegar, bay leaf, 3 cloves minced garlic, and ½ of the chopped onion. Marinate chicken in the mixture for at least 30 minutes. Drain chicken, keeping the marinade aside. 2. In a large saucepan over medium heat, sauté remaining garlic in olive oil until light brown. Add remaining chopped onion and sauté until translucent. Add chicken and sauté until juice starts to come out. Add the remaining pepper. Mix well. Cover and simmer for about 10 minutes or until chicken is cooked. Add marinade in case the chicken juice won't be enough to cook the chicken. 3. Add salt to suit your taste. As for me, the soy sauce makes it salty enough. Add Jalapeno and onion rings. Simmer for 3 more minutes. Remove from heat. 2. 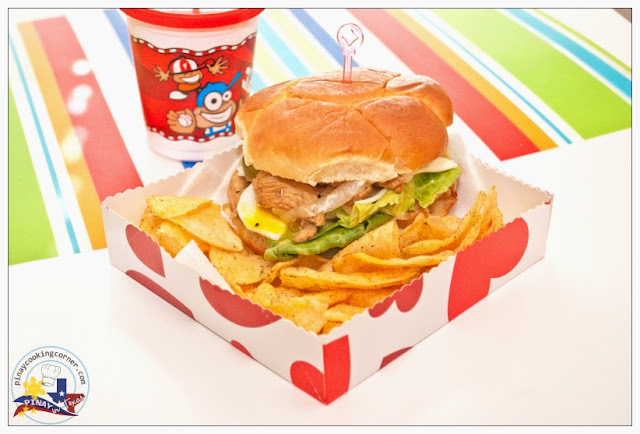 Assemble sandwich by layering mayonnaise, chicken strips adobo, lettuce, egg and cheese the way you like it. Serve with chips and your favorite drink. Hey, maybe you should start the stew sandwich food truck! You'd make a killing! I second Grubarazzi's idea! This looks fantastic! Have a fantastic weekend Tina! What a great idea! Going to try this sometime. I'd stand right behind her with my money in my hand! What a fabulous sandwich! I have never had chicken adobo but I can well imagine how delicious it is and how good it would be in a sandwich. Your chicken adobo looks delicious! I can easily see it wrapped in a tortilla. I'm not much of a sandwich person but love wraps and what a great filling!!! Great sandwich! I d love one like this right now! I will definitely make these. I work ten to twelve hours a day seven days a week this time of the year. My kids will be fed well with one of these sandwhiches. 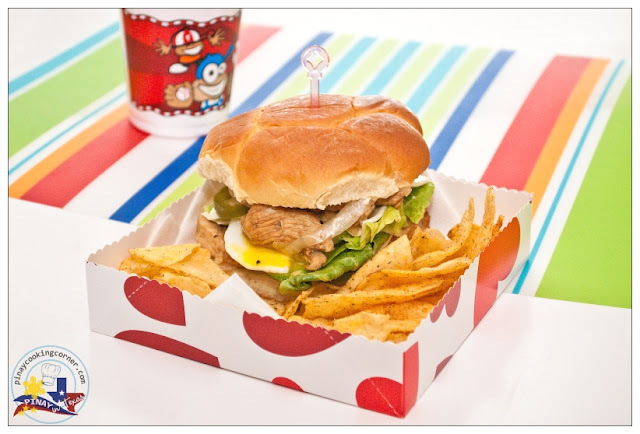 Both of these look delicious, but I favor the sandwich with that egg and cheese on top-yum! This is surprising that I have never seen it-guess I need to get out more and explore different cuisines. As far as this one I can make at home! Well done, Tina! Just like you, I too simply adore stew. In fact I can have it almost everyday with a plate of rice. This recipe is another one of my fav esp when I am alone and need to prepare a meal, its always bread with some sort of filling. The next time around, I am gonna try the adobo chicken and next will be enjoying eat bite of it. What a fabulous idea Tina. Very unique and sounds super delicious. I love eating stew especially if the ingredients are well infused with the seasonings. Using stew as filling for sandwiches is indeed a brilliant idea! 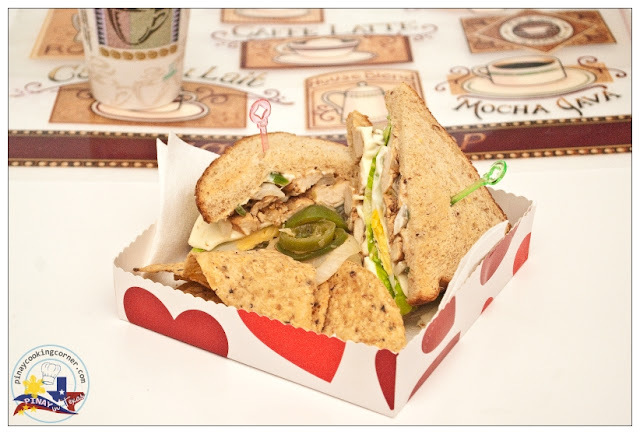 Such and fun and delicious sandwich! This looks so good! Definitely homemade food truck food. Awesomely done! A wonderful idea executed to perfection! Stews taste MUCH MUCH better next day. I like that you used the leftover for sandwich. I always look forward to deep fried stuff to make sandwich next day (Ebi Fry (deep fried shrimp), Tonkatsu, Korokke, etc)... Your sandwich looks YUMMY Tina! Oh yes, I love stew. I thought your adobo chicken has got adobo sauce the chile pepper one. But this stew as a filling is a great idea for sandwiches. Ohhh my! That looks so yummy! I just had dinner, but I am hungry again now!!!!!!!!! Oh, thanks Manu! You're so sweet! I love all of these bold flavors! Your chicken adobo looks wonderful. My family will love this. Oh my gosh Tina this is wicked good. I could eat ten of these. Okay I won't...but I'd want to. I love the sandwich and the presentation too. Wow Tina! This chicken adobo sandwich looks amazing! Like you stated above, I have only eaten adobo with rice. Mixing this dish up and making it into a sandwich is brilliant! Have you tried this with dark meat as traditionally made? Your Blog is so much beautiful. I like it so much. Keep it up Darling.